Situated next to a huge forest (Deer Park) with a lake ,walking distance from Market and around 6 minutes walk from the metro. This property, with its string of contemporary amenities and warm ambience, plays the perfect host for leisure travellers. The elegantly furnished rooms invite guests for a restful sleep. 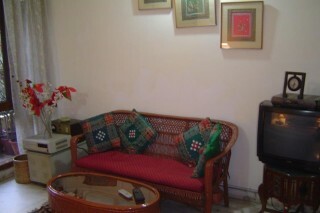 The location is perfectly situated on the yellow line and the accommodations are very clean and comfortable. It is absolutely worth staying!! 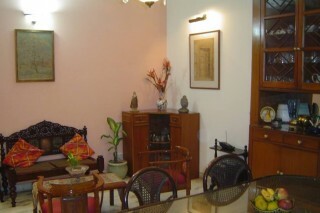 The room is well-maintained and aesthetically decorated rooms are spacious and have all the modern day amenities required for a comfortable stay. Some of the basic ones include air conditioning, colour television. 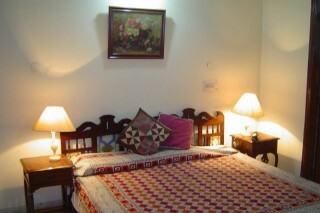 The bedroom has comfortable beds and essential furnishings like a wardrobe. 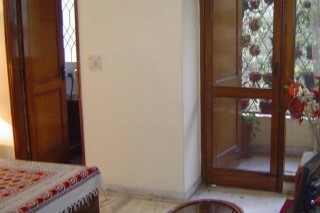 Attached bathrooms with hot and cold water facility is there. Must carry valid ID proof. It is close to famous tourist spots like Delhi Haat (approx 3km), India Gate (approx 8km), Connaught Place (approx 11km), Red Fort, Lotus Temple, Jantar Mantar, Jama Masjid etc. It is located very close to Green Park metro station. Market is 2 minutes away, yet it is so calm and serene due to Deer Park and Hauz Khas Village with Heritage Monuments (great tourist attraction) is only 8 minutes walk through the Park.